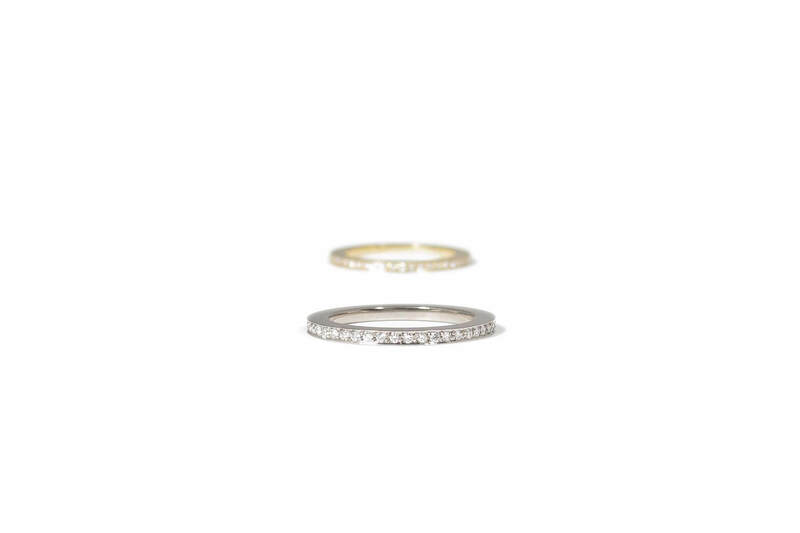 750/1000 yellow and white gold rings. 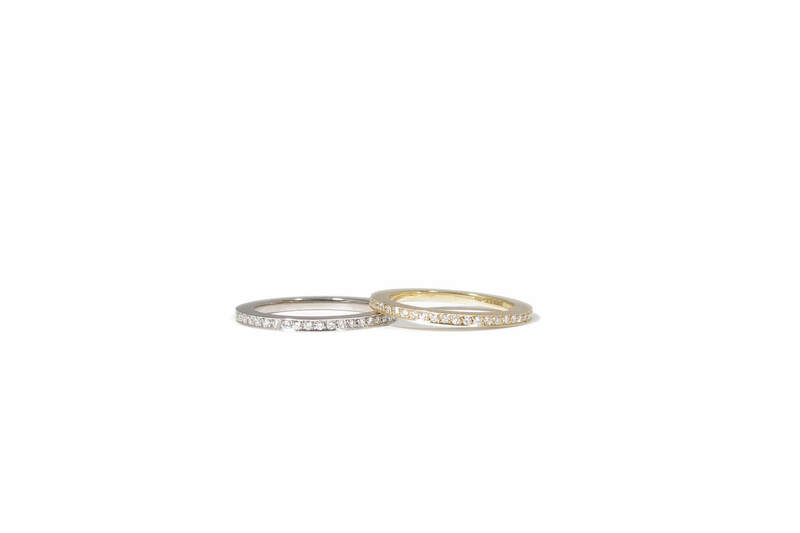 Both rings feature a total of 0.32crt TW-VS brilliant cut white diamonds. These rings have a straight inside.